I’m not exactly sure where the inspiration for this post originated. I know it’s been rattling around in my head for some time. Like so many (too many) women, I struggle with appreciating the body I live in. I have difficulty recognizing my “gifts” as they apply to my own talents. I fear I’m squandering opportunity. I question my purpose. Some days are certainly better than others, but I’m gaining…slowly. As I come to terms with loving myself, I find I’ve become better at loving others. Pretty freaking fantastic how that works, right? Ah, but I’m getting ahead of myself. Let me go back to the beginning. I started this blog as a creative outlet. In other words, it’s a place for me to broadcast the incessant over-thinking and analyzing that so often takes place in my head. The writing, and the subsequent sharing, has turned into something much more than I’d expected. There is always risk in exposure. A public blog is an open invitation for criticism. I’ve dealt with the not-so-mild sting. But for all the judgment, I’ve experienced twice as much encouragement. And kind words can multiply in the heart making each positive like a rippling of waves. These waves wash over any negatives rendering them tiny and insignificant. I wish that were true for everyone brave enough to take risks in sharing themselves with others. I have a long way to go, but this exercise of blogging has stretched me to the point of growing into myself. In the eighteen months since The Tall Mom published her first semi-organized random thoughts, I’ve learned more about who I am. It feels good—the finding out who I am. The growing is a bit painful…but the finding is quite nice. As women, and it seems especially as mothers, we are often inclined to believe that standing tall is synonymous with a lack of humility. Luckily we have women like Harriet Woods to set us straight. “You can stand tall without standing on someone. You can be a victor without having victims.” — Harriet Woods. To stand tall without standing on anyone else…and with many others. To be a victor with no victims…as part of a team. That is what this Tall Mom aspires to do. It is what all Tall Moms aspire to do. Maybe I should change the blog name…Stand Tall Moms? Nah. I’m keeping the old moniker…but it holds new meaning for me. I’d like to say thank you to all the amazing people who’ve shared a little of themselves with me here. 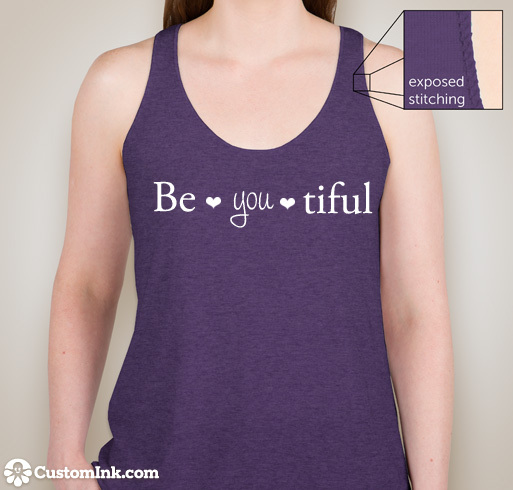 You are be.you.tiful…each and every one of you. Don’t be afraid to stand TALL. If you slip, just look for another Tall Mom. She’ll be happy to pull you up. Along with this post, I was inspired to do a little clothing design in order to express what The Tall Mom is really about. 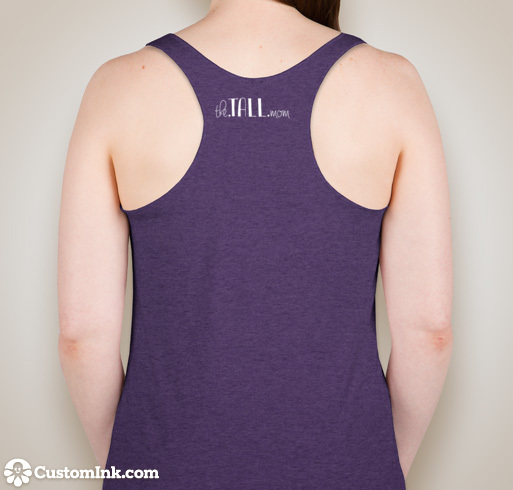 One lucky “Tall Mom” will win a free tank like the one pictured above. Simply comment below or share this blog post on Facebook and you’ll be entered to win. I so love you! You are such an amazing writer, and I love your outlook on all things in our world! Keep on writing, friend. Love you! Love your blog! The tank is beautiful!